Ideas are stored in the human mind as a neural pattern. These same ideas can be stored in a computer through an organization of memory bits. In both cases the memory is electrical in nature. Ideas are transferred between people by converting the information in memory to electrical impulses that operate our vocal cords or the fingers on our computer keyboard. The images on a computer screen are converted to electrical impulses in our retinas. Ideas are also transferred between pieces of electronic hardware by converting them to electromagnetic waves. These waves then carry the information between wires or through space to a second piece of hardware. In both cases ideas are stored in memory. In both cases the information is read and transferred electrically. The processing of all things electrical requires the presence of electrical fields. These fields are known as force fields because their intensity is measured in terms of forces on elementary electrical charges. Because memory is electrical and it is read electrically it makes sense to say that a memory or an idea is also a complex electrical field. The question that can then be asked is how far can this idea of force fields be carried. Before discussing this topic, the scientific meaning of the term field should be considered. In science the term "field" involves the idea of a force at a distance. We live in the gravitational field of the earth. The field represents the force that keeps us on the earth's surface. It is this force that pulls the earth to the sun and maintains our earth orbit so we circle the sun once a year. We feel this force field by sensing our weight but we can not see it or touch it. The forces due to gravity are called weak forces. After all it takes the mass of the entire earth to pull a hundred pound man with a force of one hundred pounds. On the moon a hundred pound man weighs only 17 pounds. The gravitational force between two people is so small it can not be measured. In everyday electricity there are two basic force fields. These are the magnetic and electric fields. These are the strong fields in nature. We see the affect of a magnetic field when we use a compass. The earth's magnetic field rotates a small magnetized needle so that it always points north. We see the effect of the electric field when we see the way a comb makes our hair stand on end when our hair is brushed in dry weather. We can also see the effect of the electric field when lightning strikes the earth. An electric field surrounds the earth at all times. When rain increases the field strength in an area of storm activity the resulting lightning keeps the field strength in balance. The forces that we have discussed are between the fields themselves. When two electrons repel each other it is their fields that is involved. When one magnet attracts another it is their fields that interact. When the moon and the earth attract each other it is the interaction of their gravitational fields. This means that something extends beyond the visual boundaries of all real objects. This extension is apparent through our observations but not apparent through the use of our five senses. This really means that empty space is not empty. It stores many types of fields and we find this difficult to accommodate. We are very wary of things we can not feel or see. Static electric and magnetic fields surround the earth at all times yet we rarely pay any attention to their presence. Exceptions might be when a lightning bolt strikes or the Aura Borealis creates lights in northern climes. We also do not sense the electric and magnetic fields that provide us with our electric power and with all our communication devices. Radio and television signals come to us as electric and magnetic fields. Electric power is brought to our homes by electric and magnetic fields that follow the path defined by copper wires. Our modern world functions because man has learned how to handle these two fields. Magnetic fields provide the forces that turn our motors. Electric fields run our radios and cell phones. The radiation of these fields provide signals for our radios and television sets. The same fields that surround our earth have been tamed to provide us with our modern technology. We are ruled by fields can yet we can not see them. Light is made up of electric and magnetic fields. The majority of the energy that reaches the earth from the sun is made up of fields and we call this electromagnetic energy. Stated again, electric and magnetic fields carry the sun's energy to the earth. These fields carry energy in a frequency spectrum that is considerably broader than radio or television signals. Much of this field energy is converted to heat when it hits the earth. Some of the energy is re-radiated but a lot of the energy runs our weather system. This weather gives us wind, rain and water flow that allows us to generate electrical power to runs our cities. Note that it was the sun's energy that created the coal and oil that we use to run our industrial society. We owe everything to the radiation from our sun. The idea that energy is stored and carried in fields is a difficult idea to accept. Since fields occupy space it further means that energy can be stored in space. As an example of this idea, a lightning bolt is one way that electric field energy stored in space can be released to do work. Anyone that has seen a tree split in half by lightning can accept the idea that work was done. The parallel with gravity is obvious. Where is the energy stored when water is put in a tower that is 100 feet tall? The answer is not easy to accept. The energy is stored in the gravitational field of the earth surrounding the tower. Where is the energy stored that was represented by the lightning strike. It is stored in the electric field that surrounds the earth. In both cases the fields store the energy in space. We can not see this energy and for this reason it is often ignored. The idea of seeing space is enigmatic. Recognizing that many forms of energy are stored in this "empty" space is difficult to accept. Realizing that these forms of energy do not interact with each other is another idea that is hard to accept. The energy that comes to us from the sun must travel through space. There are no wires. So empty space must have this ability to transport energy. In empty space there are no solid objects present and the electrical energy from the sun moves at the speed of light. When energy from the sun strikes the earth the materials that are present cause reflections and absorptions that change the nature of the energy. In space it must remain electromagnetic. If field energy is in motion, it must keep moving until it strikes a solid object. On the earth, materials interact with electric field energy. In electric circuits we have learned how to use materials that store electrical field energy, move electrical field energy and also how to cause this energy to radiate. An antenna can be used to push electrical energy into space and if there are no solid objects present, the energy will leave at the speed of light. We have learned how to include information with this radiation so we can communicate with each other. We have also learned how to use materials so that we can move electrical information and store it so that it can be converted into electrical signals at a later time. Basic to all of this processing is the ability to store and move electrical fields. Fields are basic to the understanding all electrical behavior. Engineers often do not know when or how to use field theory to explain electrical phenomena because it is very difficult to measure fields directly. The study of physics ends up being a big challenge for students because it is usually dominated by mathematics. The result is that most student are so occupied solving simple problems that they fail to connect the ideas of physics to the practical world. Most students learn their electronics by taking courses that are far less mathematical. These courses teach electricity in a way that avoids the study of fields. The fault in most educational systems is the inability to teach the physics so that it can be applied when these practical tools fail. In our increasingly complex world the need to apply basic physics is becoming more important with each passing day. The story of fields goes far beyond the sun, lightning, electric circuits, power generation and computers. We as human beings are totally electrical. Our brains and our nervous systems are run by electrical transmissions. There is only set of laws in physics and electrical behavior in the body must abide by these the same laws. This means that the human body is controlled by fields. In medicine we have learned to locate electrical activity in the brain, modify brain activity using chemicals, determine if nerve tissue is damaged, etc. We know a lot but still no one understands memory. Nature has developed electrical systems that we will struggle to understand for a long time to come. Memory is electrical in nature which means there is a field associated with each memory cell. When there is brain activity, the movement of electrical signals can be detected and located. We have not learned how to scan the static memory in the brain. Even if it were possible to read this information, the decoding of the information would present another real obstacle. Only the brain can decode its own data storage and each brain is unique. We sometimes sense the brain is refreshing its memory when we dream. Brain activity creates fields. Sensing these fields is one matter. Understanding the nature of the information in these fields is not within our grasp. Inside the atom there are forces that hold the nucleus together. These are known as strong forces. We know that the fields associated with these forces are different than the electric, magnetic or gravitational fields that we see in the non-atomic world. Einstein showed us how to relate mass to energy. We know that fields store energy. Does this mean that mass itself is some sort of field? This question is not easily answered and will be pondered upon by the finest minds in physics for years to come. Space has the ability to store energy in its many forms. Is it a twisting, compression or distortion of space that we can not sense? We know this as the search for a unified field theory. We humans are not designed to sense fields directly. We end up using simple observations and mathematics to extend our understanding into worlds we can not enter any other way. There is a lot to learn in nature. We have only scratched the surface. It is interesting to extend the ideas of electrical fields to areas of human behavior. Just as in physics there are many types of fields. There are fields associated with self preservation, procreation and hunger. There are fields associated with national pride, religion and economic security. There are fields created by nearby humans and fields present in the environment. Each individual is immersed in this sea of fields and responds based on need and experience. What are these fields? A newborn responds to its environment in simple ways. A baby cries when it is uncomfortable but this is not the result of any analysis. The concepts of hunger and cold have not yet formed. In our early years many responses are built into our nervous system and we react automatically. As we mature we make adjustments and learn the rules of survival. Eventually we can identify with our surroundings and think about ways of finding food and warmth. Within a few years the ideas of self identity emerge and we begin solving problems. We identify our needs and proceed to find solutions to perceived problems. In effect we are learning to use our senses so we can respond to the fields that surround us. Learning continues as we mature. We learn a language, we begin to sense our individuality and our relation to society. Slowly we learn about the world and we assign ourselves to family, city, state and country. We are introduced to schools, religions and the activities around us. Little by little each individual makes a connection to his or her environment. The flow of information in this connection grows and goes in both directions. The adult individual becomes a product of society and society is a product of all of its individuals. How might the fields associated with human behavior be described? We can start out by seeking a parallel with gravity. Gravity is a force field that involves every element of mass. Each person feels the force of gravity that is created by all of the mass that makes up the entire earth. The parallel with this force field in human behavior might be the sense of nationalism. It exists in each individual and is the result of being a part of a society. Gravity is a static phenomena. It has its parallel in the broad set of forces that define a society. The inner forces that allow us to function as individuals could be equated to the strong forces that exist inside the atom. An atom of oxygen remains constant whether its neighbors are hydrogen or nitrogen. There are electrical forces that bond atoms together to form molecules but these forces do not alter the nature of the atoms. The parallel with human function is obvious. The digestion of food continues as we read, walk or talk. Red blood cells are generated whether we listen to music or not. In this discussion an idea must exist in some static form. For example an idea can be a configuration of neurons. In a computer it is a configuration of bits. A group of neurons is like a configuration of electric charges that form an electric field that stores energy. In this electrical form an idea can be moved from one location to another. The final destination can be a place in another human memory. When an idea is in motion there is an electromagnetic field that pushes the information through the intervening space. In hardware the information path can be along wires or involve radiation in space. In human terms the path can involve any one of our senses which are all electrical in nature. From these senses it moves into the brain on neural pathways. In electrical communication the fields are present during transmission. In human behavior these same fields are present while the information is in motion. The transfer of an idea requires that it first have a residence. After the idea is located it is filtered or modified depending on where it is going. This is very similar to the way data is located and moved from one computer location to another. In a computer the information is taken from memory and transported by electric and magnetic fields. In human activity the movement of information involves a similar process. In the brain the data is taken from memory and moved on neural paths by these same electric and magnetic fields. For an idea to be stored in a new location the information must be interpreted. Human memory is much more complex than the memory in a computer. A computer will remember data and noise intermixed. In the human mind the noise will simply be discarded. Electrical processes enter into every aspect of our lives. This essay suggests that ideas are fields and that moving and storing ideas is always electrical. If ideas are fields and fields store energy, can ideas do work? Since an emotion is a set of ideas can we extend the concept and say that emotions can do work? Or are we playing games with words? Fields extend into the space that surrounds all matter. Does this mean that there is an aura that surrounds every living creature? Can this aura be sensed? Is it too subtle to be measured by instruments? 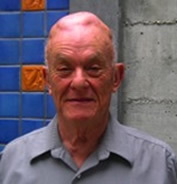 Ralph Morrison has been working and publishing in the area of Electrical Interference for almost half a century. He has specialized knowledge in the areas of Electrical Interference, Analog Instrumentation, and Digital Logic Board Layout. Mr. Morrison is a noted Consultant for the Aerospace Industry, having hands-on experience in Electrical Product Design for over 30 years.